Denmark is a popular destination for jobseekers from other EU countries. Trade unions fear this could lead to increased social dumping and want more controls. Yet most foreigners are in jobs that are covered by Danish collective agreements, says one expert. Labour shortages in many sectors of the Danish labour market has seen Danish employers increasingly looking for workers outside of the country’s borders. Trade unions worry about this development, fearing an increase in social dumping unless stricter controls of foreign employments are introduced. Fighting social dumping in the Danish labour market has never been a greater challenge than it is now, according to the Danish Confederation of Trade Unions, LO. It points to the boom in the number of foreigners in the Danish labour market. Most are from Eastern Europe, but there has also been a considerable increase in the number of people from Southern Europe. The number of Portuguese, Italians and Greeks working in Denmark has nearly doubled in just five years, according to figures from the Danish Agency for Labour Market and Recruitment (STAR), published in the weekly Ugebrevet A4. Since 2013, most Southern Europeans have found work in unskilled and physically demanding trades. 14,500 out of 24,500 Southern Europeans were working in trades like construction, cleaning and agriculture between 2017 and 2018. “If we still want proper conditions in the Danish labour market, the authorities’ measures must be backed by adequate resources to mirror the increasing demand,” the LO economist writes. Yet even though the number of foreigners in the Danish labour market rises, the amount of social dumping does not necessarily have to grow, argues Søren Kaj Andersen, Head of Centre at the Employment Relations Research Centre (FAOS), where he is doing research on labour migration. 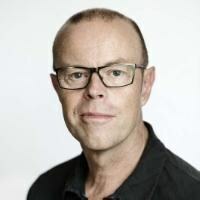 He underlines that social dumping should not be confused with “work-related crime” – a very well-known term in the Norwegian debate, but not in Denmark. This is because our labour markets are different.